Converting 1080p HDR output from Vertex to 1080p SDR for displaying on any 1080p HDTV is now a reality via the HDR to SDR conversion firmware for HDfury X4. 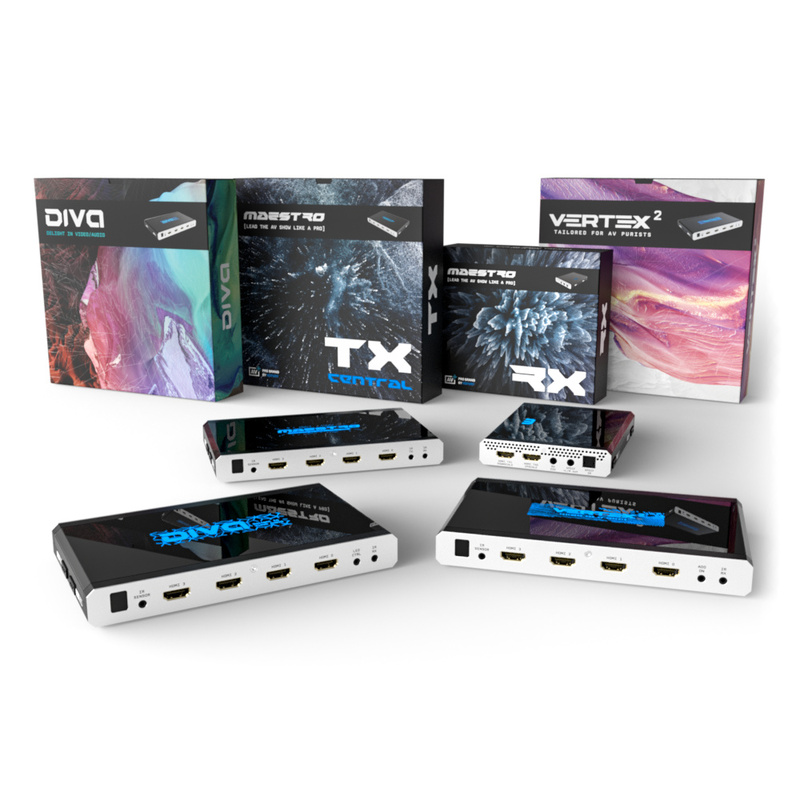 Affordable and reliable HDR to SDR conversion to feed 1080p equipment such as HDTV, streaming and capture card, ambient-light system and more is now possible. 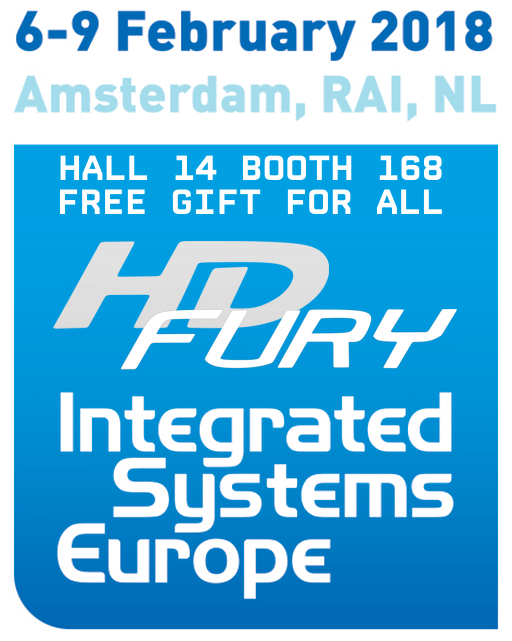 Another concrete proof of the high versatility inherent to our devices, after been launched with 3Dfury firmware, currently shipping with Scaler firmware, HDfury X4 is now available as a HDR to SDR converter. 3 different purposes via FW update and brilliant performance in any of them. 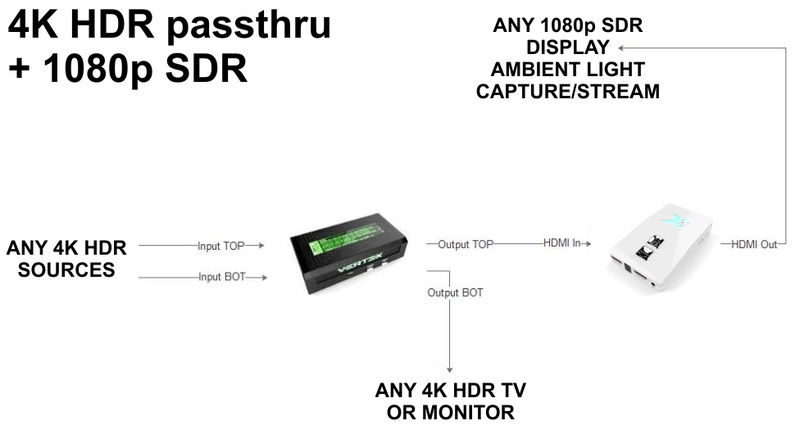 Playing in 4K HDR and monitoring or recording with SDR capture device or SDR 1080p display is now possible. With the added bonus possibility of driving Led strips to get that unique impressive feel in your setup.